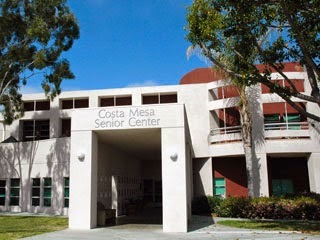 In a move that was not surprising to most observers, the Costa Mesa City Council voted unanimously last night to evict the Costa Mesa Senior Corporation from the City's building on West 19th Street that has been known as the Costa Mesa Senior Center for fifteen years. You can read Bradley Zint's coverage of the meeting in the Daily Pilot HERE and - if you can get past the pay wall - Scott Martindale's coverage in the Orange County Register, HERE. The staff presentation by Assistant Chief Executive Officer Tammy Letourneau included a reference to extreme fiscal distress - citing a claim by Senior Center financial staffers that the Center would run out of operating cash the end of this month. Apparently, based on information I received later last night, that's not entirely true - the Center still has cash in the bank and has recently been infused by some funds from the Albert Dixon Foundation - a separate non-profit organization created to manage a large financial gift by a former member of the Senior Center. The meeting began twenty minutes late because the preceding study session ran long, but it took less than an hour to nail the coffin of the Senior Corporation closed. During Public Comments, in which eleven (11) people - including four current Senior Center Board members and two recently departed members - spoke, several listed a litany of curious (at best) management moves over the past few years, including inexplicable program closures, grant requests being withdrawn, unusual fiscal priorities and - as recently-resigned member Ernie Feeney described it - a "scorched earth" policy. 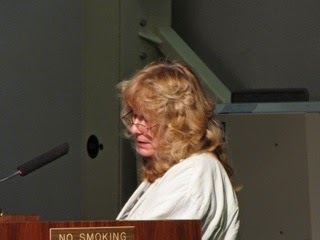 Senior Corporation Board President Judy Lindsay strongly defended the actions of the board and the negotiations. She said she felt blind-sided by the City staff incursion and it's willingness to believe gossip and hearsay and felt bullied. 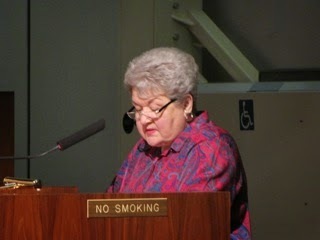 She, and speaker Beth Refakes, outlined some of the reasons for declining membership - construction at the former Bethel Towers, recent closure of a trailer park that housed any seniors, competition from Newport Beach's state-of-the-art Oasis Center, among others. 1 - Issue a 90-day notice to terminate, forcing the Senior Corporation to cease doing business at the Senior Center three months from receipt of the notification. We presume that means sometime the middle of September. 2 - Pass a resolution regarding waiving the 180-day waiting period before hiring a retired employee - Eloisa Espinosa - to take over management of the Senior Center. 3 - Pass a resolution to create a new position of Senior Center Program Administrator and established the salary range for the job. 4 - Authorize CEO Tom Hatch to execute a three (3) year contract with one optional two (2) year extension with Allied Nationwide Security, Inc., to provide security services at the Senior Center. 5 - Approve one (1) year free membership for all seniors who sign up at the Center. According to Letourneau yesterday, Ms. Espinsoa, who brings to the temporary assignment thirteen (13) years running a senior center in Fullerton, started to work yesterday and, theoretically, will actually show up at the Senior Center today. I wonder who will be in charge? This presents an interesting situation. I can find no authority under which the council can actually do what they did last night. 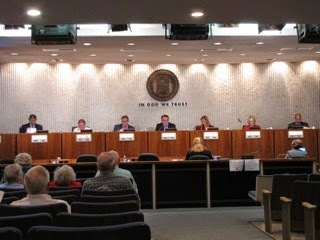 Yes, they can certainly exercise the section of the existing agreement with the Costa Mesa Senior Corporation to evict them from the premises, but nowhere is there any authority quoted that permits them to perform a "hostile takeover" (that's councilwoman Wendy Leece's term, used when she denied it was happening) of the OPERATIONS of the Senior Center. Monday, when I spoke with Letourneau about this "authority" issue, she said "we feel we have the authority", but didn't give me any quotation of where it came from. Last night, immediately after the meeting ended with Mayor Jim Righeimer closing it with a sarcastic "Let the healing begin!" 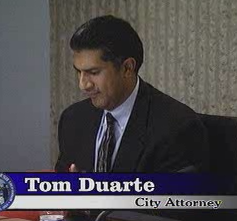 comment, I cornered contract City Attorney Tom Duarte and asked him the same question. I acknowledged to him that it appeared the City had the authority to evict the Senior Corporation from the premises, but didn't see where the authority came from to hijack the operations. He told me to ask Letourneau, which I intend to do early today. In an earlier post I mentioned the Draft Agreement that was included in the staff report, HERE. That agreement - which has not been ratified by either party - includes some practical transitional language, but it was not signed by either party because the Senior Corporation Board asked the city to indemnify it's members from possible liability issues - apparently concerned about legal action by employees who will lose their jobs. In fact, the Board has an attorney working on alternate language for the agreement, which now becomes moot. I see no circumstance in which the City Council will feel compelled to enter into an agreement now that it has effectively forced the Senior Corporation out of business by evicting it from the premises. One of the ironies, of many last night, was the constant prattle by members of the council about how unwise the Senior Corporation Board was to not have indemnity insurance when, in fact, the Board DOES have such insurance - it's required to do so by it's bylaws. Throughout the discussions many speakers, including staff and council members, expressed their primary concern was the well-being of Costa Mesa's seniors. If you believe only a small segment of the stories told last night and over the past couple of years, the seniors of this city have been poorly served and a change was clearly necessary. I'm not sure how to interpret the absence of Executive Director Aviva Goelman and other supportive Board members from the proceedings last night. It could be that they presumed their President, Lindsay, would speak for them all. As uncomfortable as I was watching a de facto coup take place - despite Leece's denials, it was a "hostile takeover" - I agree with much of what she said. I think this move will probably end up being the right thing to do for the seniors of this city. Whether it can be done legally is a separate matter. Still unresolved is the future of the current employees of the Senior Center. Since there is no agreement in place for the transition - and it's unlikely there will be one now - it's possible there will still be some pretty rocky days ahead at the Senior Center. We can only hope that the Board and City Staff will be able to work through the transition of what appears to be an inevitable outcome - the demise of the Costa Mesa Senior Corporation. And, leaning on a wall over there in the shadows, is the Albert Dixon Foundation with more than a half-million dollars to be spent on Costa Mesa Seniors. Letourneau acknowledged that the City has no claim on those funds, so that Board - an entirely separate board from the Senior Corporation Board - will have to decide how to proceed under this new regime. And, in my view (I can't believe I'm going to say this! ), the City needs to create a Senior Programs Advisory Committee (not a commission) - a permanent committee much like the Cultural Arts or Historical Preservation committees, to advise the City Council on senior programs and policies. It would have no administrative or supervisory oversight and former members of the Costa Mesa Senior Corporation should be encouraged to apply for positions on that committee to smooth the transition. So, now we see what happens over the next few days. 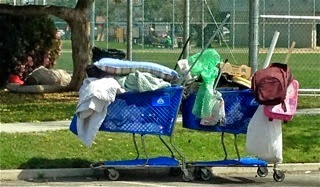 I hope that the welfare of Costa Mesa seniors is, indeed, the primary objective. Here's a comment uttered by Righeimer at the very end of the meeting. When discussing the transition and the indemnity problem he spoke about how much better it was for the Board that there was no agreement signed. He said it takes a lot of pressure off them because once the board is dissolved former employees would have nobody to sue. 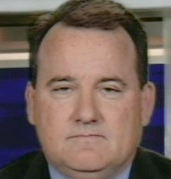 He said, "People get laid off. It's the normal course of business and there wouldn't be any liability with that." What a guy, huh? I'll close with a little thought that rattled around in my aging skull - I am, after all, a "senior" myself. I thought about that "one year free membership" situation and the rascal in me contemplated rounding up some of those senior homeless people that inhabit that Westside neighborhood near the Senior Center and herding them over to the Center to sign up for that free membership. Sorry - it's late and I needed to give myself a little smile before heading to bed. Certainly seems that Rig has litigation rooted deeply in his head. I wonder though, if there really is the authority to take over the Sr. Center like that? Sure doesn't sound like a wise move without legal representation though. Not saying its a bad move, just handled in a strange manner. Gives me the feeling that something else is going on. Sounds like more city money going to law firms. This is a legal matter yet the city attorney doesn't have an answer. I hope thisis not another case of "Ready, Fire, Aim." About the insurance - There are many types of insurance, and the Senior Corp. may not have had all bases covered. They probably have liability coverage for bodily injury and property damage. They may or may not have coverage to protect the officers and board members from individual liability for their decisions. And they probably don't have have coverage for wrongful termination suits by employees against officers and board members. If they had all three kinds of coverage, they probably would not be asking the city for indemnification. Once again, our highly-paid city staff says that they know what they are doing, but they don't know if what they are doing is legal or not.